Collected and captioned by humor writer Beverly L. Jenkins, the hilarious photos in this all-new calendar include the best of the worst workplace blunders captured and posted on social media and other online sites. 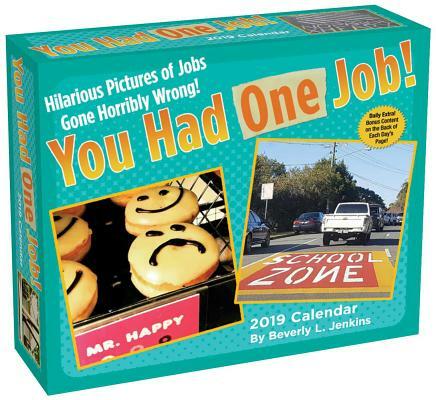 Celebrating anything and everything that can go wrong, the You Had One Job 2019 Day-to-Day Calendar features misspelled signs, construction snafus, duct-tape solutions, and every other variety of mistake, miscalculation, and mishap on the job. It's a comic collection of the funniest fails to keep you laughing all year long.